Sidney's Dominick Durr shoots as Trotwood's Terrence Gates defends during a Greater Western Ohio Conference American North Division game on Friday in Sidney. Sidney’s Josiah Hudgins drives against Trotwood’s Carl Blanton at Sidney Friday. Sidney's Andre Gordon drives against Trotwood's Carl Blanton during a Greater Western Ohio Conference American North Division game on Friday in Sidney. 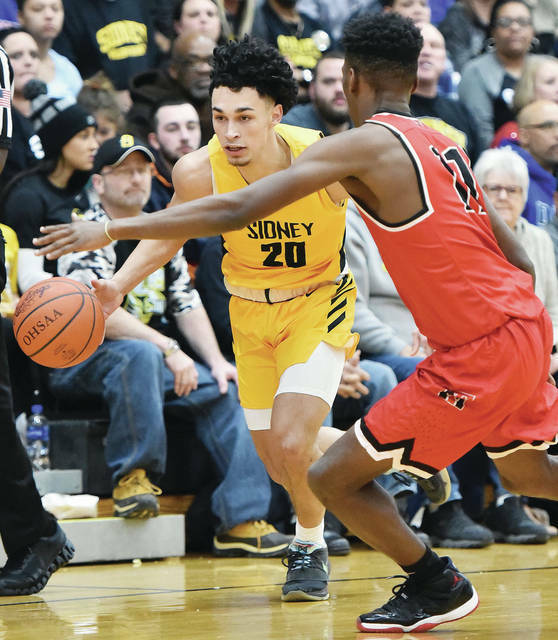 Sidney's Andre Gordon drives during a Greater Western Ohio Conference American North Division game on Friday in Sidney. Sidney's Andre Gordon shoots as Trotwood's Keontae Huguely defends during a Greater Western Ohio Conference American North Division game on Friday in Sidney. Sidney's Darren Taborn shoots with pressure from Trotwood's Justin Stephens during a Greater Western Ohio Conference American North Division game on Friday in Sidney. 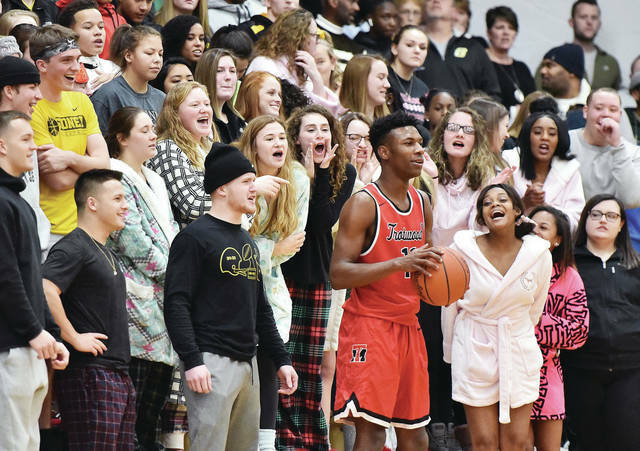 Sidney fans try to distract a Trotwood's Carl Blanton during a Greater Western Ohio Conference American North Division game on Friday in Sidney. Sidney's Darren Taborn shoots during a Greater Western Ohio Conference American North Division game on Friday in Sidney. Sidney's Ratez Roberts shoots as Trotwood's Carter Mims defends during a Greater Western Ohio Conference American North Division game on Friday in Sidney. Sidney's Dominick Durr drives against Trotwood's Keontae Huguely during a Greater Western Ohio Conference American North Division game on Friday in Sidney. 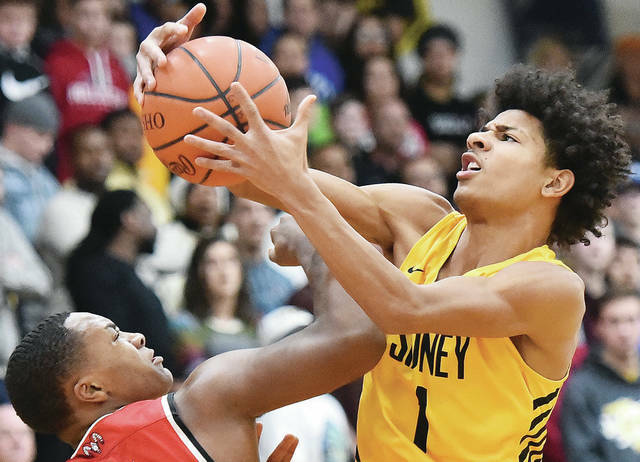 Sidney's Andre Gordon drives against Trotwood's Sammy Anderson during a Greater Western Ohio Conference American North Division game on Friday in Sidney. Sidney's Keith Lee shoots as Trotwood's Carl Blanton defends during a Greater Western Ohio Conference American North Division game on Friday in Sidney. Sidney’s Dominick Durr grabs the ball from Trotwood’s Keontae Huguely during a Greater Western Ohio Conference American North Division game on Friday in Sidney. Sidney's Ratez Roberts shoots during a Greater Western Ohio Conference American North Division game on Friday in Sidney. Sidney's Keith Lee shoots as Trotwood's Justin Stephens defends during a Greater Western Ohio Conference American North Division game on Friday in Sidney. Sidney's Ratez Roberts shoots as Trotwood's Carl Blanton defends during a Greater Western Ohio Conference American North Division game on Friday in Sidney. 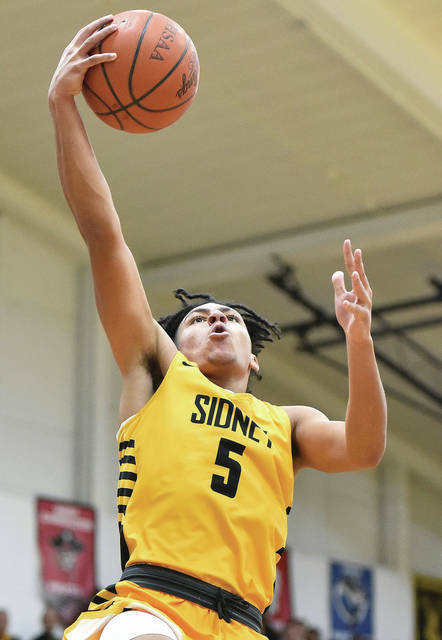 Sidney's Andre Gordon shoots during a Greater Western Ohio Conference American North Division game on Friday in Sidney. Sidney’s Darren Taborn passes to Ratez Roberts as Trotwood’s Carter Mims and Amari Davis defend during a Greater Western Ohio Conference American North Division game on Friday in Sidney. View more photos of Trotwood-Madison at Sidney here. 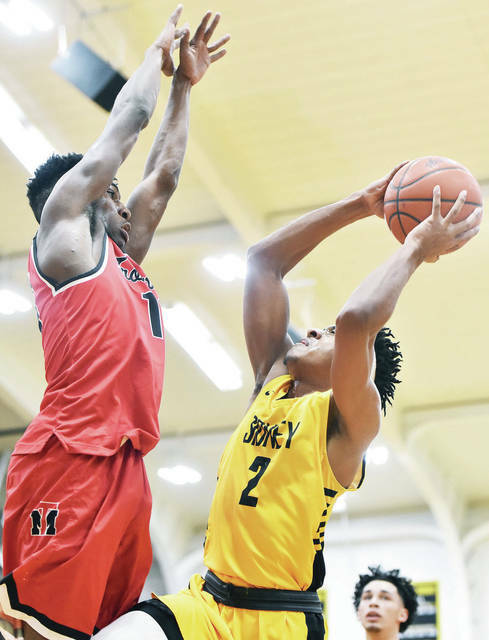 SIDNEY — Sidney stayed close to Trotwood-Madison for much a Greater Western Ohio Conference crossover game on Friday. 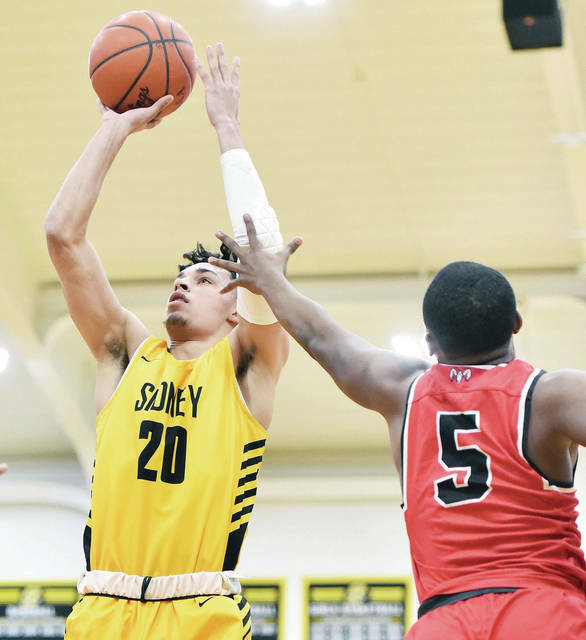 And though the Yellow Jackets lost, Sidney coach John Willoughby hopes the experience will be a valuable one for preparing the squad for a deep tournament run starting next month. The Rams, which are the No. 1 ranked team in Division II in the Associated Press state poll, dominated the last 6:30 of the game and turned a two-point lead into an 90-69 victory in front of a sold-out and oftentimes raucous crowd. It’s the second loss in three games for the Yellow Jackets (11-3, 8-2 GWOC American North), which had rattled off nine consecutive wins before a loss at Fairborn last Friday. Trotwood (11-2, 8-0 GWOC American South) finished the last six and a half minutes on a 28-9 run. The Rams’ full-court press caused some late turnovers that contributed to the run. “For the most part, we did the right things against the press, and I thought for the most part we did a good job and got easy baskets,” Willoughby said. “They don’t mind that, though, because they just want to keep (the pace) going and keep it going. So you can get that false sense of security. If you break it a few times, you feel like you can do something else instead of not sticking to what you should. Sidney led for most of the first half, thanks in part to Darren Taborn scoring 17 points. Trotwood finished the second quarter on an 11-2 run, though, to take a 44-43 halftime lead. The Rams started the third quarter on a 12-2 run to take a 56-45 lead. 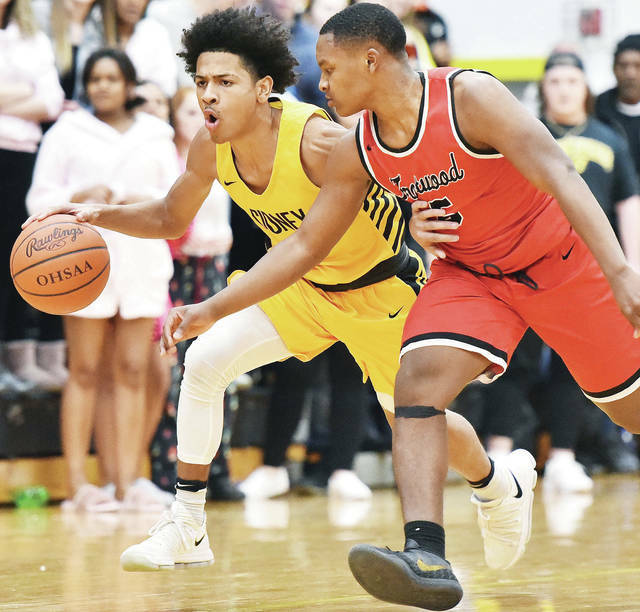 The Yellow Jackets’ zone defense held Trotwood to four points over the last six minutes and enabled them to get back into it. 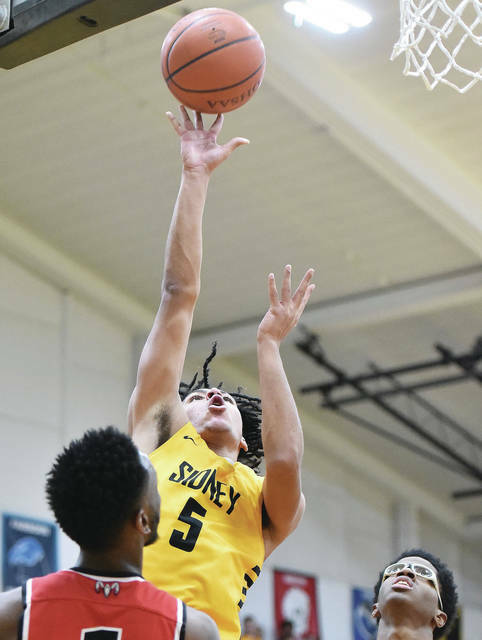 Andre Gordon capped off an 8-0 run with a jumper with 3:32 left to pull Sidney within 56-53, though Amari Davis then scored on a jumper and a dunk to push the lead to 60-53 with 2:11 left. Trey Werntz hit a 3-pointer from the left wing to pull Sidney within 60-56 by the end of the third. Gordon opened the fourth quarter with a basket to pull the Yellow Jackets within two points, but Trotwood scored 14 of the next 18. “It stems from our defense,” Trotwood coach Rocky Rockhold said of the team’s quick outburst. “I think the least we’ve scored all year is 75 against a very good Centerville team that protects the rim. …Until we get our defense going, we’re going to have games like that where it’s nip and tuck. Trotwood has won every conference game by at least 18 points (though it lost to GWOC member Wayne by three points in overtime in a nonconference game on Dec. 28). 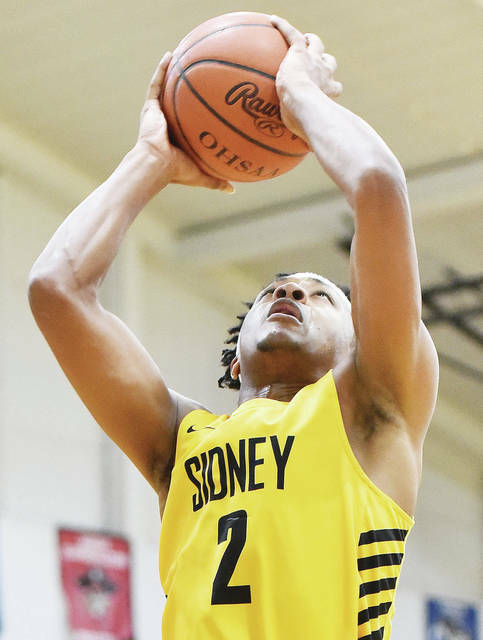 Taborn led Sidney with a career-high 23 points, 15 of which came in the first quarter. Roberts finished with 13 and Gordon finished with 10. Rockhold was pleased with the Rams holding Gordon, a Virginia Tech commit, to 10 points. “That kid is a phenomenal kid, and we love competing against him,” Rockhold said. “Our guys love playing against him. Our game plan coming in was to do what we call ‘hot’ and double-team him every time he touches the ball. Allow him the opportunity to pass the ball. If he ends up with 25 assists and you lose, then so be it. You can’t let him get 25 (points) and then 10 assists. Davis, who is committed to Wisconsin-Green Bay, led the Rams with 36 points. Keontae Huguely finished with 14 and Justin Stephens scored 10. The team traded baskets early, but Sidney went on a big run in the first quarter to take the lead for most of the rest of the half. Hudgins and Taborn hit consecutive baskets to give Sidney a 14-9 lead with 4:26 left in the first quarter. Taborn made a jumper and followed with a 3 from the left corner to put Sidney up 19-13 with 2:42 left. 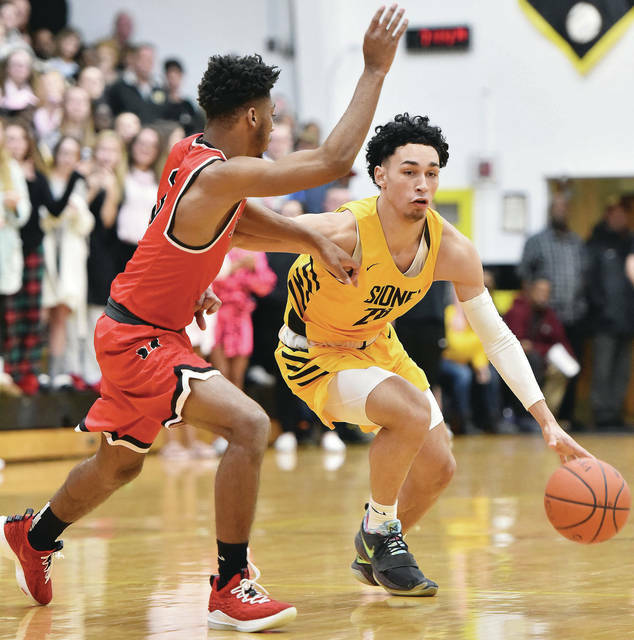 Taborn made a jumper, Trey Werntz made a 3 and Dominick Durr made a pair of free throws in the final minute of the quarter to push Sidney’s lead to 28-17. “We thought it was going to be Ratez getting a lot of those easy buckets there early because of how (Trotwood) rotates up, but Darren did a great job of finding the open spot, surveying the floor and finding where the cuts should be,” Willoughby said. Davis scored six points in the first 2:30 of the second quarter to help Trotwood go on a 10-3 run and pull within 31-27. The Yellow Jackets responded with a 10-6 run and took a 41-33 lead with 2:03 left after a basket by Lee. The Rams dominated the rest of the second quarter, though. Davis hit a 3 from the left corner with 29 seconds left to give Trotwood its first lead of the game at 42-41 and made a put-back at the buzzer to put the Rams ahead by one point at halftime. 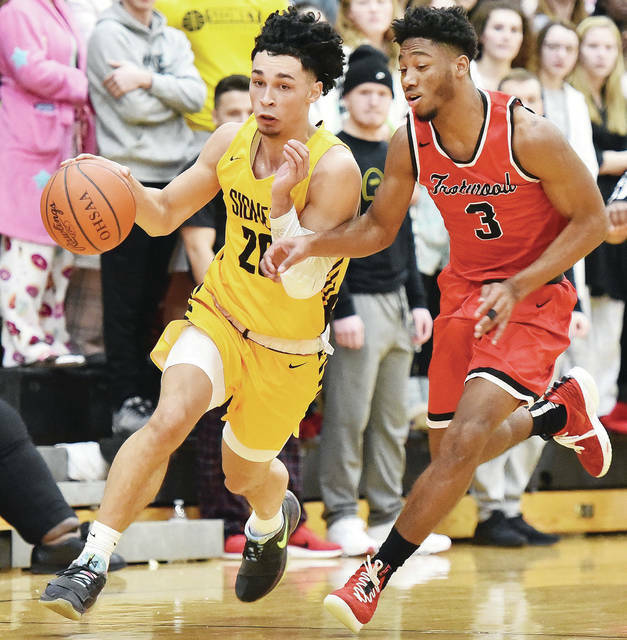 It was the last GWOC crossover game of the season for the Yellow Jackets, who will resume playing GWOC North opponents on Tuesday at home against Tippecanoe. First, though, will be a home nonconference contest with Wapakoneta on Monday. Monday and Tuesday’s games will be the first of five in an eight-day stretch. Sidney’s Dominick Durr shoots as Trotwood’s Terrence Gates defends during a Greater Western Ohio Conference American North Division game on Friday in Sidney. 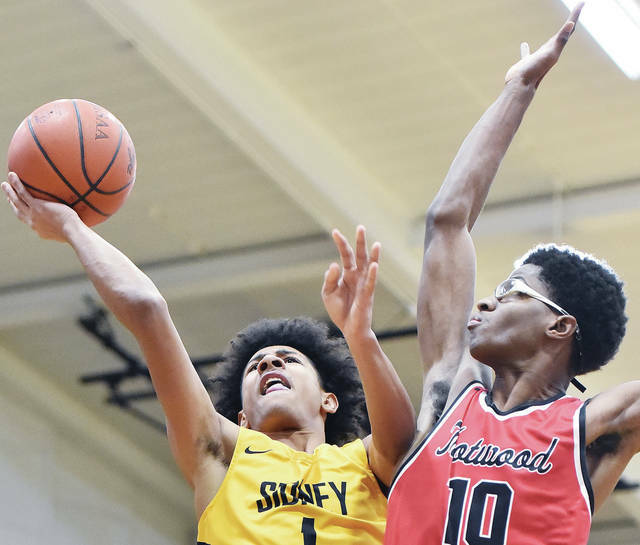 https://www.sidneydailynews.com/wp-content/uploads/sites/47/2019/01/web1_DSC_4398-7.jpgSidney’s Dominick Durr shoots as Trotwood’s Terrence Gates defends during a Greater Western Ohio Conference American North Division game on Friday in Sidney. Sidney’s Andre Gordon drives against Trotwood’s Carl Blanton during a Greater Western Ohio Conference American North Division game on Friday in Sidney. 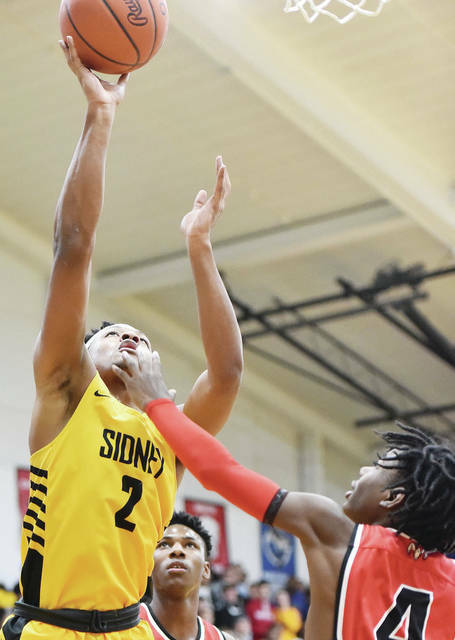 Sidney’s Andre Gordon drives during a Greater Western Ohio Conference American North Division game on Friday in Sidney. Sidney’s Andre Gordon shoots as Trotwood’s Keontae Huguely defends during a Greater Western Ohio Conference American North Division game on Friday in Sidney. 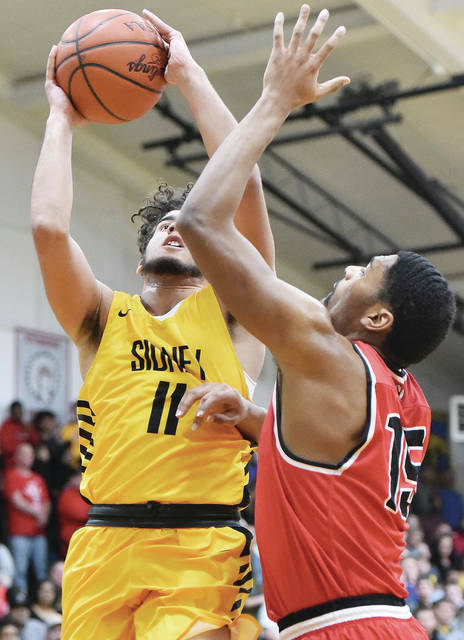 Sidney’s Darren Taborn shoots with pressure from Trotwood’s Justin Stephens during a Greater Western Ohio Conference American North Division game on Friday in Sidney. 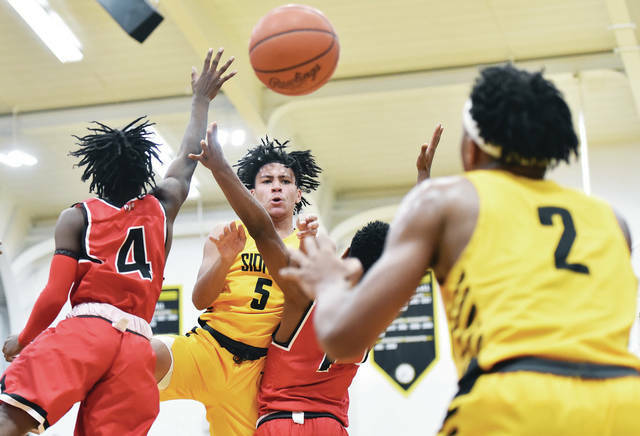 Sidney fans try to distract a Trotwood’s Carl Blanton during a Greater Western Ohio Conference American North Division game on Friday in Sidney. Sidney’s Darren Taborn shoots during a Greater Western Ohio Conference American North Division game on Friday in Sidney. Sidney’s Ratez Roberts shoots as Trotwood’s Carter Mims defends during a Greater Western Ohio Conference American North Division game on Friday in Sidney. 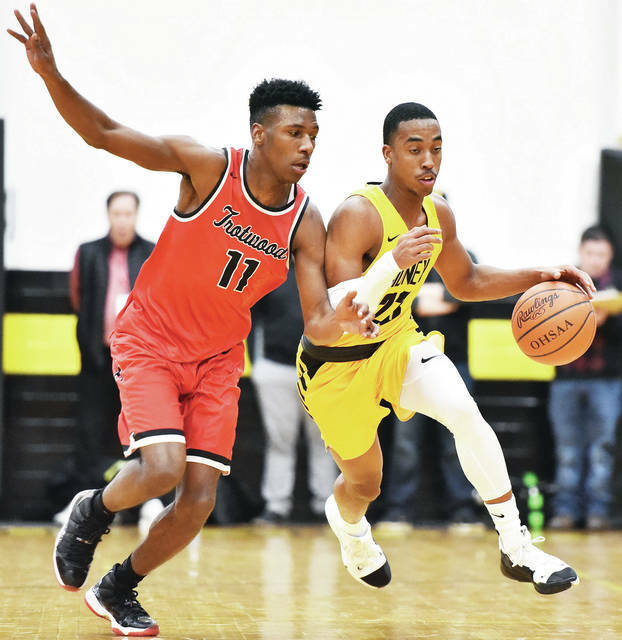 Sidney’s Dominick Durr drives against Trotwood’s Keontae Huguely during a Greater Western Ohio Conference American North Division game on Friday in Sidney. 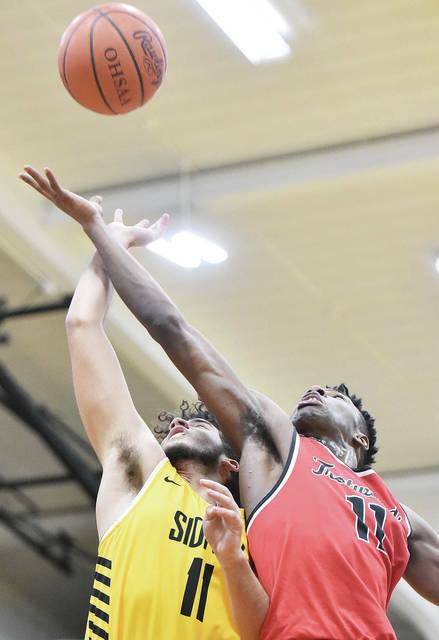 Sidney’s Andre Gordon drives against Trotwood’s Sammy Anderson during a Greater Western Ohio Conference American North Division game on Friday in Sidney. Sidney’s Keith Lee shoots as Trotwood’s Carl Blanton defends during a Greater Western Ohio Conference American North Division game on Friday in Sidney. Sidney’s Ratez Roberts shoots during a Greater Western Ohio Conference American North Division game on Friday in Sidney. Sidney’s Keith Lee shoots as Trotwood’s Justin Stephens defends during a Greater Western Ohio Conference American North Division game on Friday in Sidney. Sidney’s Ratez Roberts shoots as Trotwood’s Carl Blanton defends during a Greater Western Ohio Conference American North Division game on Friday in Sidney. 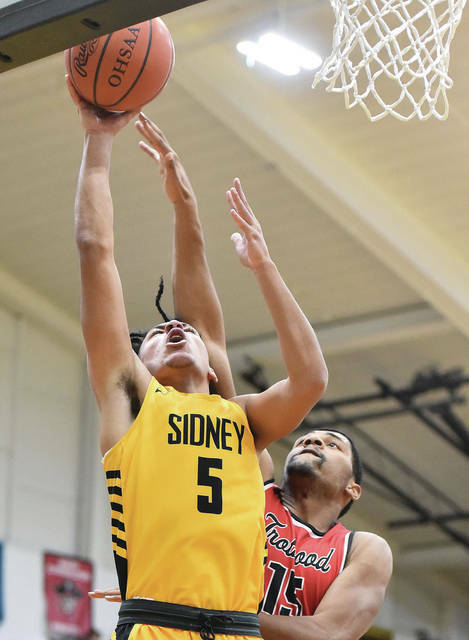 Sidney’s Andre Gordon shoots during a Greater Western Ohio Conference American North Division game on Friday in Sidney. 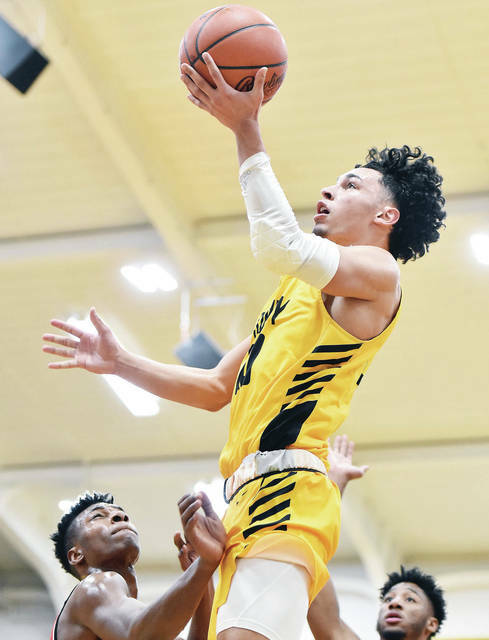 This entry was tagged Amari Davis, American North, Andre Gordon, basketball, boys, boys basketball, Division, Greater Western Ohio Conference, GWOC, GWOC North, high school, John Willoughby, North, Ratez Roberts, Rocky Rockhold, Sidney, Trotwood, Trotwood-Madison, Yellow Jackets. Bookmark the permalink.